Those familiar with construction disputes in the UAE will know that it is not unusual for experts to be involved in the dispute resolution process. This article seeks to discuss where, when and which types of experts are used in the UAE. The article also touches on some of the criteria a party should consider when looking to retain an expert. 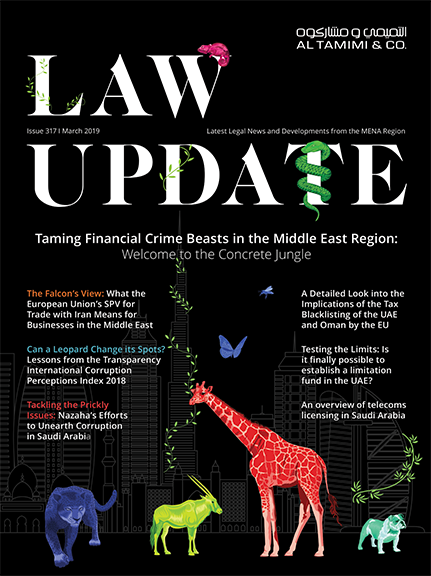 Whilst experts have been giving evidence in the courts of England and Wales since the late 18th century, their use in construction disputes in the UAE really came of note following the explosion of construction disputes which resulted from the global financial crisis impacting upon Dubai’s construction industry in late 2008. At the outset it might be useful to identify two important meanings. Firstly, an expert is someone who has special technical or scientific skill or knowledge above that of the average person. Secondly, an expert is required to provide an opinion when a court or tribunal requires assistance on a technical or scientific matter when the facts alone are insufficient to allow the court or tribunal to determine an issue. An expert determiner is a contractual dispute decider who is either named, or subsequently appointed, by the parties to decide a technical dispute under a contract. Expert determiners are often encountered in oil and gas type disputes. An expert/assessor is appointed by the court, or tribunal, to assist the judge. Under English law, and in the DIFC Courts, there is a difference between a court appointed expert and an assessor. This difference is discussed in a bit more detail below. An expert adviser’s duty is to his client. There are two types of expert adviser. The first is one that remains engaged solely to assist his client throughout the proceedings. A claims consultant will often carry out this role. This type of expert adviser can become actively involved in the pleading of a case. The second type of expert adviser is where the expert becomes involved early on, but his role later morphs into that of an expert witness. This second role has to be carefully managed by the expert, client and lawyer alike so that the expert remains objective throughout to ensure his credibility is not undermined. An expert witness is appointed by a party but the expert’s duty is to the court or tribunal. The well known English case of the Ikarian Reefer  2 Lloyd’s Rep 68 laid down the duties of an expert. It is crucial that the expert witness remains objective and independent throughout because a failure of either will affect the credibility and, therefore, weight to be given to the expert’s evidence which, in turn, may affect the success of the client’s case. This article deals primarily with the role of the expert witness in constructions disputes. In the UAE parties are likely to encounter experts in the local courts, the DIFC Courts or arbitration proceedings. Articles 69 to 92 of Federal Law No. 10 of 1992 (the Law of Evidence) deal with the use of experts in the local courts. In addition, Article 68 of the Law of Evidence allows a judge to instruct an expert to inspect the subject matter if an urgent application is made by a party. In the local courts a judge (who will often not have any specialist or technical knowledge of the issues in dispute between the parties) will normally appoint an expert to prepare a report (i.e. issue a mandate). Federal law No. 7 of 2012 (Law of Experts), which recently came into force, regulates experts in the local courts and has placed new restrictions on those who can act as an expert. In short, the expert receives a mandate from the judge as to what the expert is to provide a report on. The expert will meet with both parties and request that they provide relevant documents so that the expert can investigate the matter. The expert will file his report (in Arabic) in court and provide both parties with a copy. Whilst the parties will have an opportunity to pass comment on the expert’s report, experience shows that it is not often altered. The judge is likely to rely heavily upon the expert’s report. Whilst the parties can retain their own experts to assist in preparing their respective cases, it is very unlikely that the local courts will call these party appointed experts to give evidence so the best use of party experts is probably in the meetings with the court appointed expert before the expert files his report with the court. In the DIFC Courts there may be a court appointed expert, assessor, single joint expert or party appointed expert. Experts are governed by the Rules of the DIFC Court (RDC) Part 31 and Schedule A to it. The RDC pretty much follows the English Civil Procedural Rules (CPR), and indeed Schedule A replicates in full the[RK1] English ‘Protocol for the Instruction of Experts to give evidence in civil claim’ (including its references to the CPR and to single joint experts which RDC Part 31 does not expressly cater for (although they would no doubt be allowed under the RDC)). The parties require the DIFC Courts’ permission to rely on an expert witness, but, in substantive construction disputes anyway, this is pretty much the norm. An assessor carries out a different function insofar as he will not give oral evidence and will, therefore, not be subjected to cross-examination. Unlike a court appointed expert who is paid by the parties, an assessor will be paid by the DIFC Courts itself. Arbitration in the UAE is governed by Articles 203 to 218 of Federal Law No. 11 of 1992 (the Civil Procedural Law). It is trite that the UAE’s current law relating to arbitration is not a comprehensive arbitration law[RK2] , but parties will often make reference in the arbitration clause to institutional arbitration procedural rules to govern the arbitral process. In an ad hoc scenario (i.e. where there is no institution involved), experienced construction arbitrators will often seek to adopt the UNCITRAL Arbitration Rules (2010). Specifically in terms of expert evidence, all the main rules used in the UAE address the use of experts: the DIAC Arbitration Rules (2007) at Articles 27 to 30; the DIFC-LCIA Arbitration Rules at Articles 20 and 21; the ICC Arbitration Rules (2011) at Articles 24 (Appendix IV) and 25; the UNCITRAL Arbitration Rules (2010) at Articles 27 to 29. In our experience, most substantive construction arbitrations will incorporate the IBA Rules on the Taking of Evidence in International Arbitration (2010) and the Chartered Institute of Arbitrators Protocol for the Use of Party-Appointed Expert Witnesses in International Arbitration (2007). What Type of Issues Require Expert Evidence? Whilst construction disputes can cover a whole host of complicated technical issues, we generally tend to retain experts in the disciplines of delay, quantum, valuation, forensic accounting, geotechnical, concrete, structural, MEP. Certainly in terms of delay, there has been some recent debate as to whether a delay expert really falls within the meaning of an expert in the strict sense because, some would say, he is really carrying out a detailed analysis of facts, which a court or tribunal should be able to do for itself based on the factual evidence. However, given that most significant construction projects will involve the understanding of both the hard and soft logic to be applied to thousands upon thousands of work activities and the review of detailed programming software (normally Primavera P3 or P6), one queries how many judges, arbitrators or lawyers could do this. In short, the court or tribunal needs the delay expert to help it determine the cause and effect of individual delay events. One should also not forget that there may be a requirement for legal experts. Ordinarily, a judge would not require expert evidence on the law of the jurisdiction where the judge is sitting, but if a foreign law is being applied, or if in an arbitration the tribunal is not familiar with the relevant law, and notwithstanding that the parties will, of course, make reference to and submissions on the relevant law, it may be prudent to engage a legal expert. When should an expert be engaged and who by? The expert should be appointed as soon as possible, maybe as an expert adviser in the first instance. Whilst this will, of course, have early cost implications, one would expect a prudent disputes lawyer to highlight to the client that a failure to do so may lead to the possibility of more significant costs and procedural problems being encountered later in the dispute process. It is crucial to a client that an experienced disputes lawyer takes a lead role in managing and implementing the strategy of the overall dispute process. At the outset a client (especially one who is experiencing a complicated construction dispute for the first time) should have the whole dispute process from start to finish explained to him, including an explanation of the roles and responsibilities of all relevant persons and parties, because this allows the client to fully comprehend what is involved in the process and, therefore, factor in contingencies and costs accordingly. A client who is not fully informed at the outset may well be taken by surprise when a lawyer suddenly insists on the requirement to engage experts. Appointing an expert early allows a party and its lawyers to more fully understand the technical issues and consider the chances of success or failure. Moreover, it allows the lawyer to properly plead the client’s case in the knowledge that the expert’s evidence will be fully supportive. If the expert is instructed late in the day, not only is there a risk of not getting the right one (i.e. the preferred expert may not have the capacity to accept the appointment), but the expert may not have sufficient time to review all the relevant documents to provide a detailed report. However, the biggest risk of appointing an expert late is that the expert will provide a report which is at odds with the client’s pleaded case. This results in two options: (i) get a new expert on board in the hope that the new expert will support the pleaded case (but there will be no guarantee that will happen); or (ii) amend the case, which will have significant time and cost implications, if it is allowed at all. It is quite usual for the expert to be retained by the client but to receive instructions solely from the lawyer. There will always be some commercial negotiations to be had when agreeing upon fees and deliverables, but it is important that these issues are resolved satisfactorily at the outset; otherwise serious problems could come to a head at the door of a final hearing. For example, it is not unknown for an expert to ‘threaten’ to either withdraw his services or exercise a lien on his final signed report until his fees have been paid in full. However, an expert who exercises such strong-arm commercial tactics would do well to consider his own predicament in terms of both his professional reputation and his duties (obligations) to the court or tribunal. Clients who have little experience of being involved with disputes will often try and insist on fixed fees for their expert. Whilst clients want some degree of price certainty, construction disputes inherently involve so many variables and unknowns that it makes it highly unlikely that any expert would agree to carry out a service at a fixed price. Clients should, therefore, consider other cost options, e.g. fee caps, reduced billing, etc. If a fixed price was agreed then serious questions should be asked about how the expert will continue with the matter in a professional and diligent manner knowing he will receive no further payment. Contingency fee arrangements for experts should be avoided. As mentioned above, notwithstanding that the expert will likely be contractually retained by the client, the lawyer will prepare the instructions to the expert setting out what the expert is to do. Because an expert will likely refer to these instructions in the report some lawyers will try to draft these instructions as general or as wide as possible. However, such vagueness can cause problems for the expert in that the expert may not know what he is specifically being asked to provide a report on, which may lead to problems during his cross-examination. As part of the terms of retainer and instructions a timetable for deliverables should be agreed upon. It benefits neither the lawyer nor the client to have to wait until a few days before the date for filing to receive a report when no drafts have been reviewed. Ample time should be allowed for reviewing draft reports. Of course, the report should be the expert’s and his alone, but it should be reviewed in advance to ensure it covers all of the relevant issues and that all relevant evidence has been properly considered to reach the opinions stated therein. What should you look for when engaging an expert? It is crucial that the lawyers take the lead when looking to appoint the expert. Clients involved in construction disputes should be under no illusion – construction cases may be won or lost based on the quality of expert evidence. Simply stated, a party will often get what it is prepared to pay for. One would do well to remember that whether the dispute involves claims for tens of thousands or hundreds of millions, there is one overriding maxim: the party who asserts must prove. Therefore, if a party is seeking to make a claim for delay then it will have to show that the events caused the delay. Similarly, in terms of quantum, a party making a claim to recover costs will have to show that those costs relate to the breach and have been actually incurred. Scrutinize the expert’s profile or resume. Has the expert given live evidence before? There are many experts who have ‘assisted’ with cases, or simply provided reports, but who have not given live testimony and been subjected to cross-examination. Beware of the ‘professional expert’, i.e. his career may now simply be that of acting as a testifying expert, so much so that he is no longer up to date with recent construction technical developments, which could cause embarrassment during cross-examination. Check that the expert is familiar with your type of construction project. A delay expert who predominantly deals with claims for major civil engineering projects (such as bridges or desalination plants) may not be fully familiar with the construction processes involved in a multi-storey tower development. The lawyer should search to see if the expert’s name crops up on any case law and, if it does, check to see if there have been any adverse judgments against the expert. Lawyers with knowledge of construction disputes will be aware of at least three well known delay experts who have been subjected to fairly heavy criticism in construction cases. Obtain references. Most experts will be only too willing to provide the names of referees. Ideally, speak to the lawyers who have worked with the expert in the past to see what their thoughts are. Establish if the expert is a team player and has reputation for working hard and reading the documents, or whether he is somewhat aloof and remote, and simply expects to be spoon-fed all the information he requests. It is a duty of the expert to carry out a forensic investigation of the relevant facts, so, for him to sit back in a passive manner would, possibly, put him in breach of his professional duty. The expert should know better than anyone what further facts he needs to review and consider. Moreover, one can foresee an uncomfortable time for him during cross-examination if he has not immersed himself in the documents and evidence. If the expert is not a team player then he is unlikely to be retained by the same client or receive instruction from the same lawyer on future disputes. Beware the beauty parade (where you request a number of potential experts to pitch for the role at the same time). It is not unknown for high-level experts to be wheeled out for a beauty parade to secure the commission, but once the commission has been secured you then find yourself dealing with the expert’s assistants because the expert is too busy with another case in a different part of the world, or, worse still, trying to secure another commission. This leads on to the expert’s availability. The best experts will be in high demand. Therefore, you need to know his foreseeable commitments. If the expert is to use assistants then you need to know who they are, what they will do and where will they be based. Some experts will employ a team (which can be very costly) and will expect this team to be based at the client’s own premises (this could be for one of two reasons: (i) easy access to documents and relevant personnel; (ii) to save on his (or his employer’s) overhead costs). Clients will, therefore, need to consider this logistical issue when considering a fee proposal. Related to the expert’s fee proposal and the lawyer’s fees too, will be accessibility to, and quality of the contract documents. One of the significant differences between construction disputes and other commercial disputes is the sheer volume of technical documentation. In this day and age, both lawyers and experts alike anticipate that clients will have their documents stored electronically in a format that allows for their easy search and use. If the documents are not stored electronically then this will likely lead to a significant uplift in the costs of preparing a case and expert report. Does the expert demonstrate an attention for detail? A good way of assessing this is to study his fee proposal. Does he simply provide a few lines with his charge out rate, or does he go and show that he has considered some key documents to ascertain certain information and identify some key issues. An expert gets one chance to make a first impression, so he should make sure it’s a good one. The expert should be able to communicate, both orally and in writing, with clarity and conciseness. Good experts have the ability to communicate complicated technical issues in a way that allows non-technical persons to easily understand them. Finally, there are some legal formalities regarding conflicts of interest and the giving of evidence which should also be checked by the lawyer. Parties are likely to encounter experts in most substantive construction disputes in the UAE. Experts fulfill different roles in the UAE depending on the arena for the dispute and they cover a wide variety of technical disciplines. Whilst the use of experts will add to a party’s costs, they provide invaluable support, without which a party’s case may be severely undermined. Clients should consult with their lawyers when looking to retain the services of an expert and should give consideration to numerous criteria to ensure they get the right expert at the right time.